SBI’s student loan is a term loan granted to Indian nationals for pursuing higher education in India or abroad where admission has been secured, as mentioned on the official website of SBI. The repayment period can go of up to 15 years after course period plus 12 months of repayment holiday. No processing / upfront charges are levied on education loans. One can avail a loan amount upto Rs. 10 lakh for studies in India and Rs. 20 lakh for studies abroad. SBi’s scholar loan is available for courses at select leading institutions in India like IITs, IIMs, NITs, AIIMS and other premier institutions. One can avail a loan up to Rs. 30 lakh. Global ed-vantage loan is exclusively available for full-time regular courses at foreign colleges and universities. One can avail a loan from Rs. 20 lakh up to Rs. 1.5 crores. Skill loan is a term loan to Indian nationals for pursuing vocational education and training in India where admission has been secured. With SBI’s take-over of education loans, one can switch his/her existing high cost education loan to SBI and reduce monthly EMIs (Equated Monthly Instalments). HDFC Bank offers up to Rs. 10 lakh as education loans for studies in India. There are wide ranges of collateral options also available with HDFC Bank’s education loans. 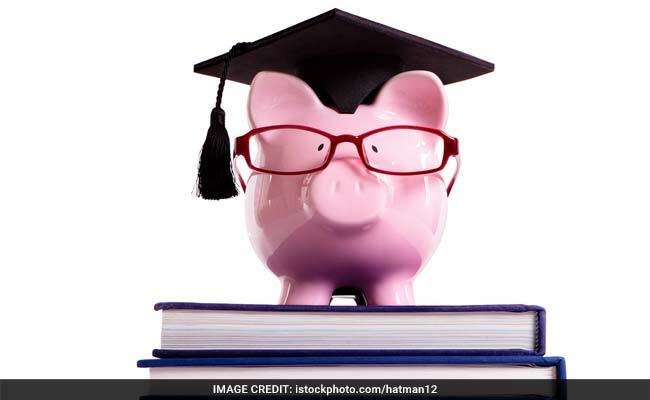 According to HDFC, resident Indians between the ages of 16 and 35 are eligible for education loans. For Loan amount 4lac <=7.5lac: third party guarantee and parent(s) as joint borrower(s) are required. For loan amount > 7.5lac: tangible collateral security along with parents are required to be joint borrower(s). The maximum tenure can go up to 10 years for loans up to Rs. 7.50 lakh. For loans above Rs. 7.50 lakh, the maximum tenure can go up to 15 years.